Yesterday, the comic world suffered a great loss as artist Scott Clark passed away at the age of only 43. In general, it is already a terrible thing not only for the family, but for those who knew him in the comic community. But it hits a little closer to home for those of us here at Wildstorm Addiction. 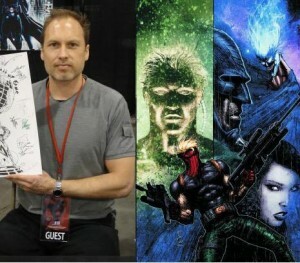 Scott Clark was one of the pioneer artists that came out of Wildstorm during the early 90’s Image Comics boom. 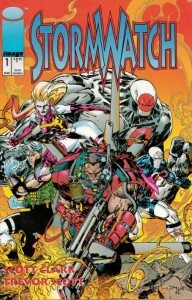 We just mentioned on our recent podcast that March marks the 20th anniversary of the original Stormwtach #1. This was Clark’s first foray into Wildstorm and he stayed closely tied to the imprint over the years that followed. I have many fond memories of discussing Clark’s art with my friends. He definitely had a unique style and I was always happy when I saw it pop up over the years. Our condolences go out to his family and friends. You will be missed Scott. This entry was posted in News and tagged scott clark. Bookmark the permalink.